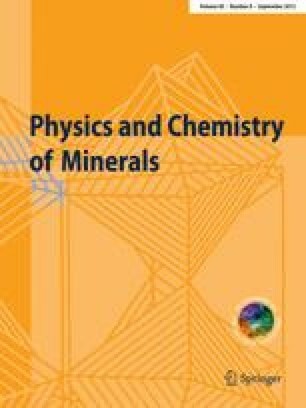 Electron transport properties of single crystal and polycrystalline natural mineral galena (PbS) samples from the Trepča mine, Yugoslavia, were determined using the photoacoustic frequency transmission technique. Their thermal diffusivity (DT≈0.16 × 10−5 m2 s−1), the coefficient of diffusion (D between 0.15×10−2 0.16×10−2 m2 s−1) and lifetime of the excess carrier (τ≈35 μs and the front and rear recombination velocity (sg≈65.5 m s−1 and sb≈66.4 m s−1, respectively), were calculated by comparing the experimental results and the theoretical photoacoustic amplitude and phase signals. The lattice parameter obtained by X-ray work was a =5.936 Å. The free carrier concentration of these single-crystal samples was measured using the Hall method (N = 3×1018 cm−3). Measurements of the optical reflectivity of the same samples, as a function of wavelength, in the infrared and far infrared ranges, were performed. In the far infrared range a free electron plasma frequency was observed and numerically analyzed, using the least-squares fitting procedure. The values of optical parameters were calculated and the value of the free carrier concentration obtained by the Hall method was confirmed.